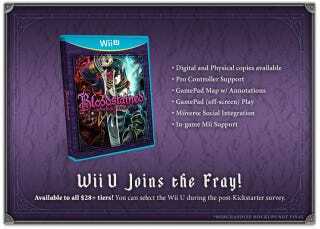 The BloodStained KS has reached 3 million dollars, and that means the game will be ported to Wii U. The Wii U will also be receiving a physical copy. The next port is for the PSVita sitting at the 3.5 million dollars stretch goal. The porting will be handled by Armature.